The federal government and big companies want limitless new powers to spy on you. And they plan to get them via legislation called CISPA — the "Cyber Intelligence Sharing and Protection Act" (HR 3523). CISPA would allow companies and the government to bypass privacy protections and spy on your email traffic, comb through your text messages, filter your online content and even block access to popular websites. CISPA would permit companies to give the government your Facebook data, Twitter history and cellphone contacts. It would also allow the government to search your email using the vaguest of justifications — and without any real legal oversight. CISPA contains sweeping language that could be used as a blunt weapon to silence whistleblower websites like WikiLeaks and the news organizations that publish their revelations. CISPA would create an environment in which we refrain from speaking freely online for fear that the National Security Agency — the same agency that has conducted "warrantless wiretapping" online for years — could come knocking. CISPA could lead all too easily to governmental and corporate attacks on our right to speak freely online. And while there is a real need to protect vital national interests from cyber attacks, we can’t do it at the expense of our freedoms. The House plans to bring HR 3523 to a vote in the coming weeks. Take action right now. 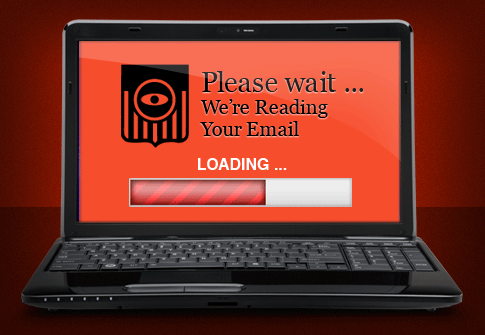 Tell your member of Congress to vote no on CISPA and stop this bill in its tracks. I urge you to vote "NO" on the "Cyber Intelligence Sharing and Protection Act" (HR 3523). There may be effective ways to protect vital national interests from cyber attacks. But we must use means that do not threaten our online rights the way this bad legislation does.